What could be the harm in sending a Christmas gift to a child in need? At this time of year, schools all across the country are taking part in the Christmas Box appeal, and the task is superficially noble: ask your child to fill a decorated box with toys and essential items and the charity will deliver them to a child who is living in poverty. It’s a tangible, personal way of giving, and it’s immensely popular. But Operation Christmas Child is run by Samaritan’s Purse, a huge and zealous organisation led by Franklin Graham, son of the famous evangelist Billy Graham. Not only is the organisation openly homophobic, it seeks to proselytise in a manner that most people, including liberal Christians, find unacceptable. As a humanist, I am naturally disquieted by the idea of people performing evangelical work with the intended purpose of conversion; but I am positively offended when this work is performed at the expense of vulnerable children in desperate situations across the globe. It is clear from the Samaritan’s Purse website and Franklin Graham’s social media pages that the organisation has a homophobic agenda. Recently Graham has been raising funds to support Aaron and Melissa Klein, who not only refused to provide services for a lesbian couple in their bakery in Oregon but even quoted Leviticus at a member of the couple’s family. It gets worse. Following consumer complaints posted online by the couple and leading to intervention by the Oregon Department of Justice, Aaron Klein sought support from others by publishing the discrimination complaint on his Facebook account, including the names and shared address of the complainants. This led to the couple receiving homophobic verbal attacks and death threats; they were even concerned that they might lose their foster children (whom they have since adopted). The couple pushed ahead with legal action and the Kleins were ultimately ordered to pay $135,000 in damages for the emotional suffering that they caused. Franklin Graham’s version of events is that the Kleins are conscientious objectors who have ‘done nothing wrong’. He uses their story to fuel resentment against equality laws and curry favour for the ridiculous notion that US Christians experience ‘persecution’, something which seems to have become something of an obsession for him. This is just one example of the organisation’s homophobia as it seeks to uphold ‘the Biblical definition’ of marriage. Samaritan’s Purse has also given considerable financial support to the campaign against marriage equality in the USA and Graham has made his own homophobia abundantly clear both in his words and in his deeds. He’s also got some startlingly ignorant opinions about gender. Many schools either downplay or indeed appear completely ignorant of this aspect of the charity’s work, and UK representatives of Operation Christmas Child will claim that the spreading of the word extends no further than a small booklet of bible stories that may be handed out with the boxes. This is simply not true, or at least it is not true in all cases. 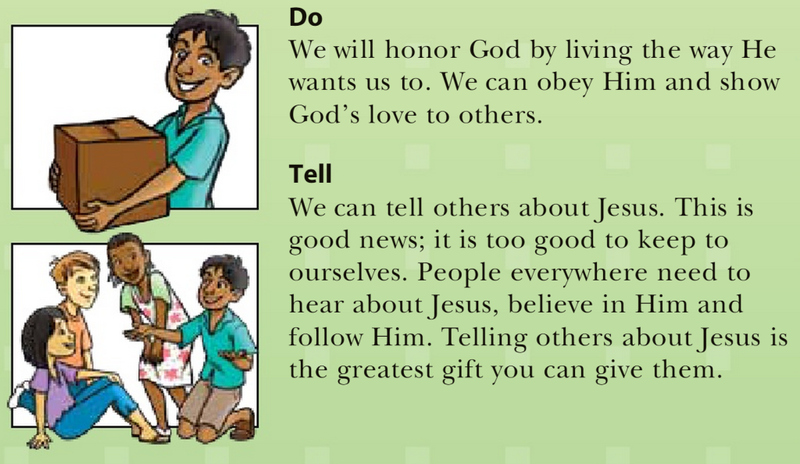 Much of the literature used by Samaritan’s Purse demonstrates a clear and direct attempt to convert the young, and the charity aims to enrol children in their brainwashing programme wherever possible. Numerous critics have observed that Samaritan’s Purse volunteers overseas are often more interested in conversion than provision. According to the President of Operation USA, an international relief organisation, Samaritan’s Purse organised a religious festival after the hurricane in Nicaragua in 1999 and pressurised local churches into taking thousands of children to a baseball stadium in Managua to hear Graham preach; at a time when resources were scarce and people were in desperate need, the money could have been so much better spent on basic supplies and rebuilding work rather than on proselytising. In 2003 the organisation was criticised in the New York Times for holding prayer meetings before it provided help to the people of El Salvador to build the temporary homes that had been provided by US Government funding; interviews with some of the locals reveal that volunteers had distributed religious literature and asked them to accept Jesus Christ as their saviour. Samaritan’s Purse also funded the distribution of Arabic Bibles in Iraq after the war and sent hundreds of volunteers into the country with the mission of bringing Muslims to Christ. In 2008 they compromised both government-funded aid and diplomacy by attempting to convert Muslims to Christianity following the tsunami in Banda Aceh. After the earthquake in Haiti in 2010, the organisation was criticised in the liberal press for pouring money into evangelising rather than into aid; Graham claimed that the people of Haiti’s spiritual needs were the most urgent concern for his organisation, and he was supported in his endeavours by the ever-delightful Sarah Palin. In the USA, where evangelism is broadly accepted and commonplace in many parts of the country, the evangelical message is better understood both by donors and by volunteers. In this country, most volunteers and participants in the scheme cling to the notion that if they haven’t seen it then it doesn’t go on. Do not be fooled – it does. If your local school is irretrievably wedded to the idea of a Christian shoebox scheme, the BHA advise that Link to Hope don’t distribute any literature with their boxes. The Rotary Club also runs a similar scheme and they at least have a proven track record when it comes to providing worthwhile aid within the developing world. But most charities with a genuine desire to bring change to the developing world and to lift children out of poverty now reject the Christmas box model; donors may well have the best of intentions, but sending a shoe box full of gifts is ultimately a grossly inefficient and environmentally questionable way to give. If your school would like to back a more effective scheme with tangible outcomes you could suggest that they look at those run by Plan UK, Oxfam, Save the Children, Aquabox or Good Gifts. [i] The delivery service DHL have withdrawn their support, as have the South Wales Fire service. Oxfam have also made it clear that they do not support this organisation. Even some Christian organisations and individual Christian volunteers are detaching themselves from Samaritan’s Purse due to concerns about the extreme nature of the message. [ii] Many websites state that concerns have been raised by the Standing Advisory Councils for Religious Education (SACRE). While they offer no national policy on Operation Christmas Child, it has certainly been discussed at local SACREs across the country and some SACREs, for example in Cambridgeshire, have written to their local schools about the concerns. Minutes from the Isle of Wight group describe Operation Christmas Child as “a long-standing issue” yet one that they don’t consider to be their concern, which seems pretty extraordinary. In Surrey, our SACREs have spoken to local representatives of Operation Christmas Child and seem to accept wholesale their reassurances, which they give here. They have not investigated further. Time is truly running out now to take part in the BHA’s 2015 Happiness Photography Competition. The comments on this post from Facebook shows a snapshot of what we’ve been receiving since advertising the competition, which promises prizes worth £300 and the chance at having your work exhibited in a central London gallery. For a chance to win, entries must be with the BHA by 15 October. Please read entry requirements closely and apply at happyphotos.org.uk.